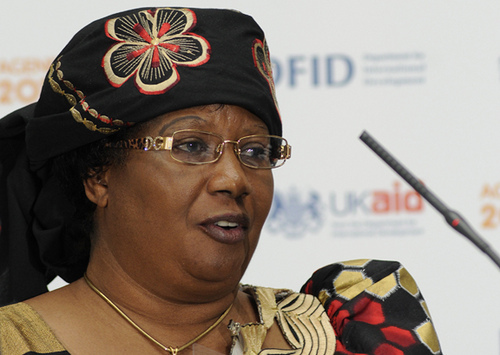 Law experts say Vice President Joyce Banda will step in as Malawi’s Head of State after reports emerged that President Bingu wa Mutharika had suffered a cardiac arrest. Mutharika was admitted to Kamuzu Central Hospital in the morning after he collapsed at State House. Doctors are said to have attempted to resuscitate him but the condition remained critical. Mutharika, 78, was being treated in the intensive care unit as several family and cabinet members, including his brother, Foreign Minister Arthur Mutharika, First Lady Callista were having a vigil at the clinic. Government officials were not immediately available for comment. Meanwhile, lawyer Wapona Kita says the Constitution is clear that the Vice President takes over until the reminder of the presidential term in case of incapacitation. Mutharika came to power in a 2004 election, and was re-elected with a large majority five years later.